I received this necklace from Personalized Cart, which offers customized gifts such as engraved/monogram jewelry, watches, wallets, wooden boxes, etc. 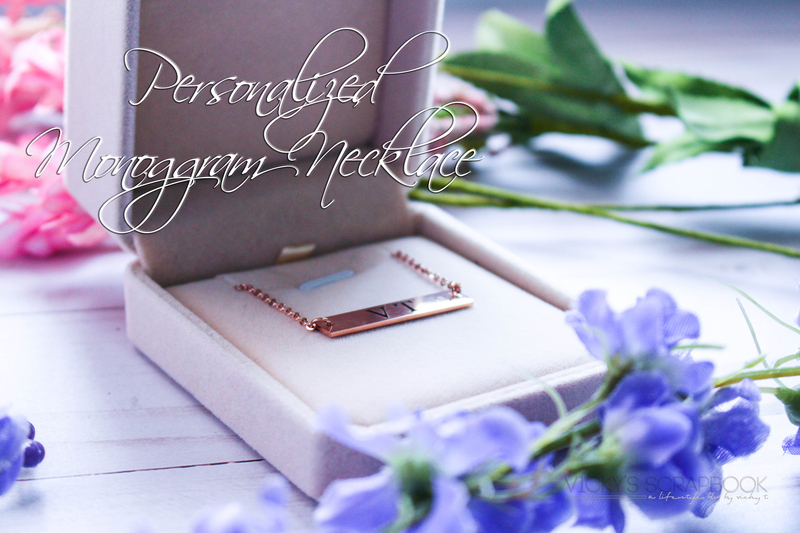 I chose a rose gold monogram necklace with my initials. With weddings happening all around, I feel like this would make a great bridesmaid gift or a couples’ gift for each other; it’s also great for birthdays, and other holidays like Mother’s Day. For the price of $9.90, I think the quality of this necklace is superb and definitely will make a great gift especially if you’re on a budget. It comes in a sturdy velvet box, which makes gifting even easier. Check out some of the photos of this necklace below and if you would like to gift someone special this necklace, check out Personalized Cart (link is listed above). *Please note that I did receive this necklace free in exchange for my honest review. Ohh this necklace looks sooo pretty! ❤ 🙂 Really loving how dainty it looks!